The Children's Chariot - Yippie Yo Review | Then there were three.. Living in Wales, we are very lucky to get to experience a variety of different landscapes; we have the cities, the beaches, woodland walks and mountain terrains. Now that Aoife is older, we want her to explore exactly what Wales has to offer. However, despite her little two year old self being fiercely independent, she still isn't quite there with wanting to walk all day, and a stroller certainly isn't suitable for the majority of these locations. A few months ago we were kindly sent a Yippie Yo Cross Buggy for Aoife to test out on her adventures - I can genuinely say that I wouldn't know what I would do without it now. She absolutely loves it! My first impression was that it reminded me of a bicycle attachment to pop your kids in, although I can confirm that this is even better! The Yippie Yo is created in Germany and complies with all standards in accordance to the European Standard for Pushchairs and Prams (EN 1888) - it's safety elements are fantastic. A few of these are the buggies low point of gravity which stops it from tipping to the side, the five point safety harnesses and the finger guards on the wheels. 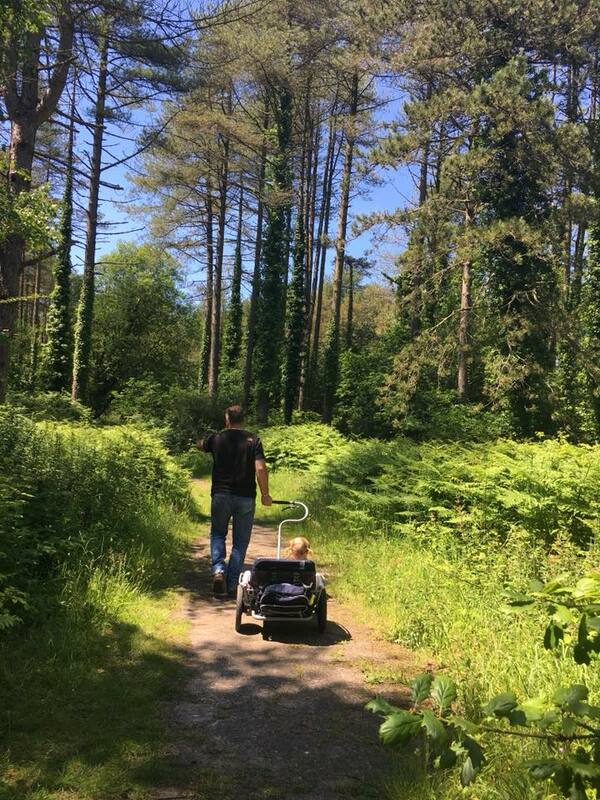 As it is a pull along rather than a push along it makes it much more manoeuvrable and easier for the adult to handle. The main attraction is that it holds two children! Whilst Florrie is slightly too young to enjoy it with her sister, I am confident that we will get even more use out of it with the two of them next summer. Assembly was very easy and once it was up we couldn't get Aoife out of it. It has now replaced her stroller and we always make sure that we take it with us on day trips; as it folds quite compact it's easy to store in the car boot. 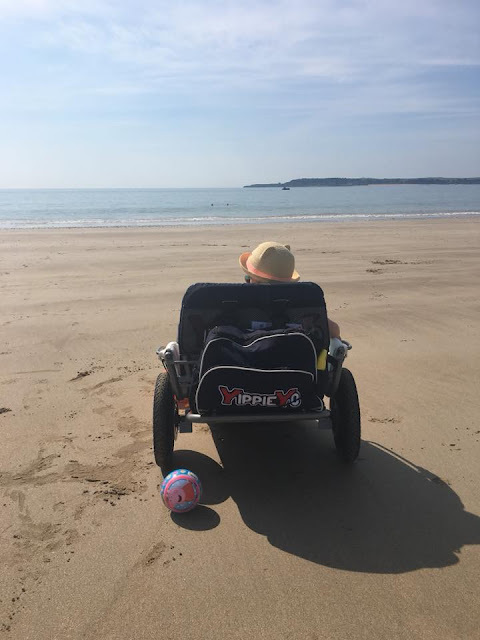 I will be honest, before we discovered the Yippie Yo I was always hesitant about taking Aoife to certain places due to the stroller - have you ever tried getting one across a beach?! Now I don't have to stress out as I know that the Yippie Yo will withstand any terrain you put it on. We had so many day trips this summer and it made things so much easier on the trips where a stroller wouldn't have been suitable. When it comes to cost, the Yippie Yo is not cheap; it currently retails between £490.50 to £535.50 depending on the model you want. You can then pay a bit extra to customize it with different colours, along with adding lights and bags. However, despite the price I will be completely honest in saying that it is definitely worth it. 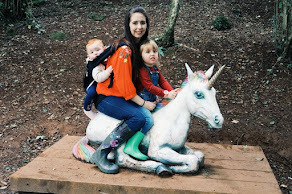 I wasn't too sure if we would get a lot of use out of it, but Aoife is obsessed with it and it makes things so much easier - it is also a great talking point as so many people stop and ask us about it which makes Aoife feel like a little star! I can't wait for next summer so both of the girls can enjoy this together. *Disclaimer* We were sent the Yippie Yo Crossbuggy in exchange for an honest review. All thoughts and opinions are my own.